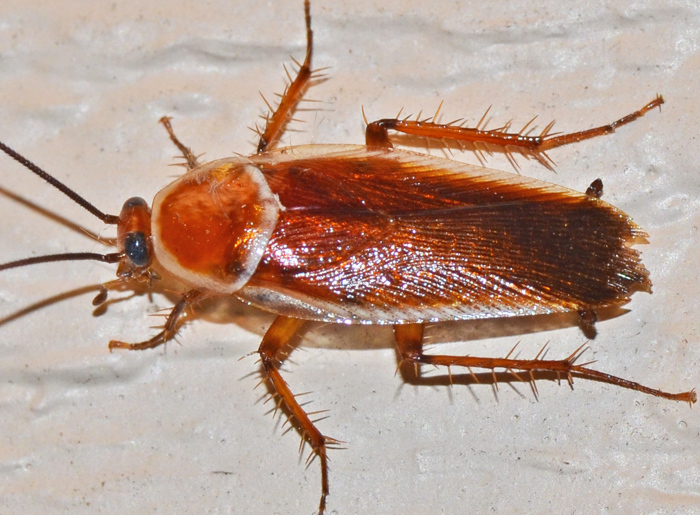 The Pale Bordered Field Cockroach arrived in Florida within the last years but has been reported in Mississippi since 1987. The species entered the US from Mexico. It prefers low-growing herbaceous vegetation and seemingly does not infest houses. On occasion it visits flowers. This specimen was attracted by our porch lights.